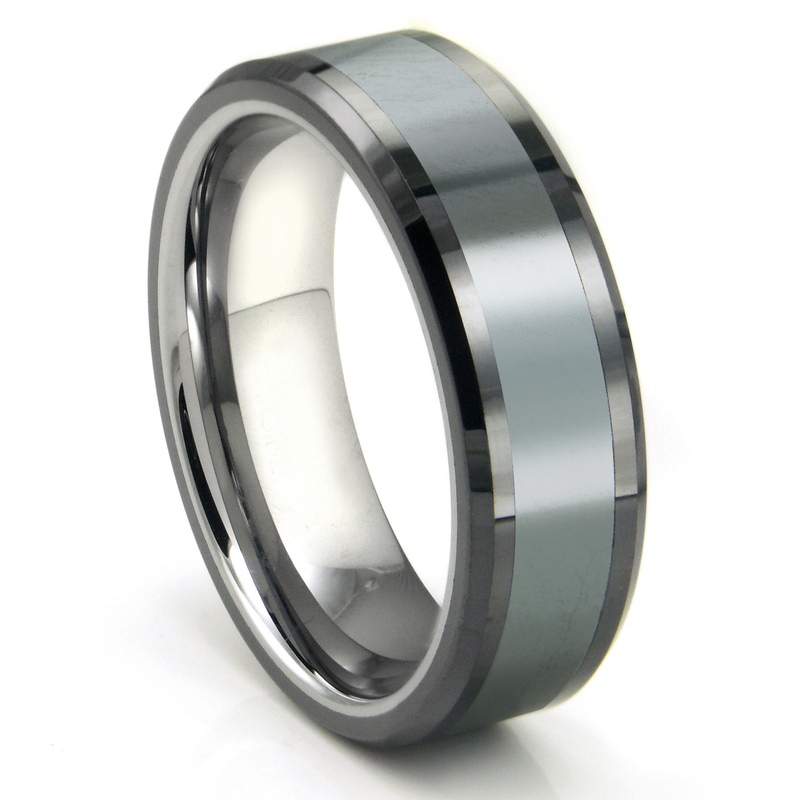 This ring is 8mm wide, exuding a gorgeous look that gives it an air of distinction. As with all natural stones there will never be two rings which look exactly the same. This ring will not bend or crush during work, sports, or play time. This is a benefit that many couples enjoy as any investment that will last a lifetime is well worth the investment. Rating: 4.7 / 5 , based on 10 reviews. Bought this a couple years ago. Just lost it swimming and had to have another. This ring is beautiful! I got it for my fiance 14 months ago and he loves it, says there are no scratches or anything so its definitely sturdy,especially considering he works in a kitchen. All in all its a great product, do recommend! This ring lasted a year and cracked and the middle broke. Great quality, fast shipping, resonable prices. Couldn't be happier! I chose this particular ring because my future husband is a huge Star Wars fan. The engraving is gorgeous and very legible. Will definitely keep this site in mind for future purchases. The ring is stunning and very unique my fiance' loves it. He can't wait to wear it. Shipping was very fast and it was in perfect condition. It is so beautiful!! I am so excited that we were able to find this site and this ring!!! The shipping was prompt and my husband to be LOVES it!!! Thank you so very much for making this part of our union wonderful!!!! This ring is really elegant. It looks better than I expected and at a wonderful price. I bought this wedding band for my fiance since he doesn't like the typical plain wedding bands. The meteorite inlay is beautiful and classy but still different. It is comfort fit and arrived very quickly. I had no issues and love the result. They even let me do a fingerprint engrave AND a text engraving.